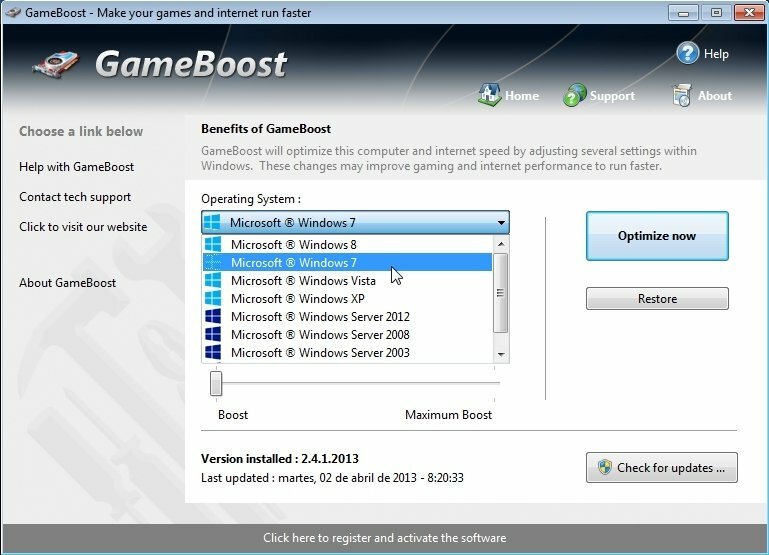 Video games are definitely the applications that demand the most from our hardware. 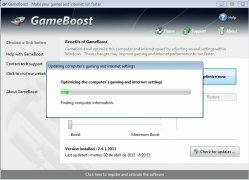 It's very likely that a state-of-the-art video game may require the full power of every single component of your computer, as well as the full bandwidth of your Internet connection when playing online games. 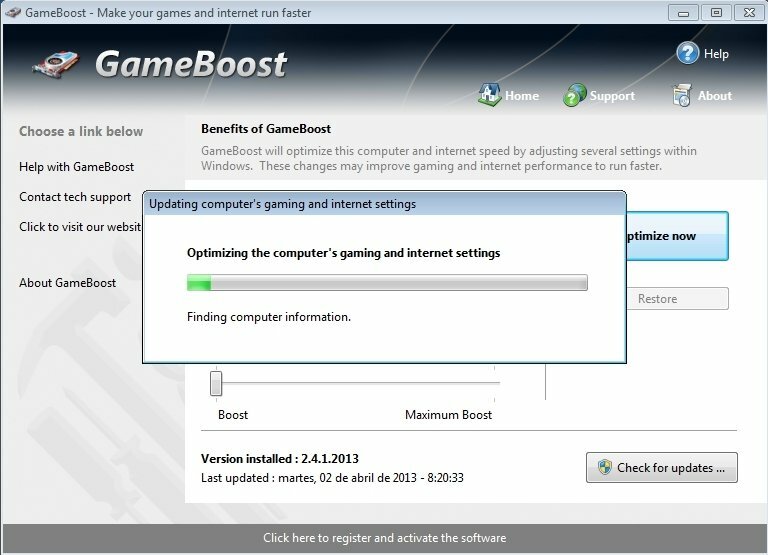 That is why applications like GameBoost exist. 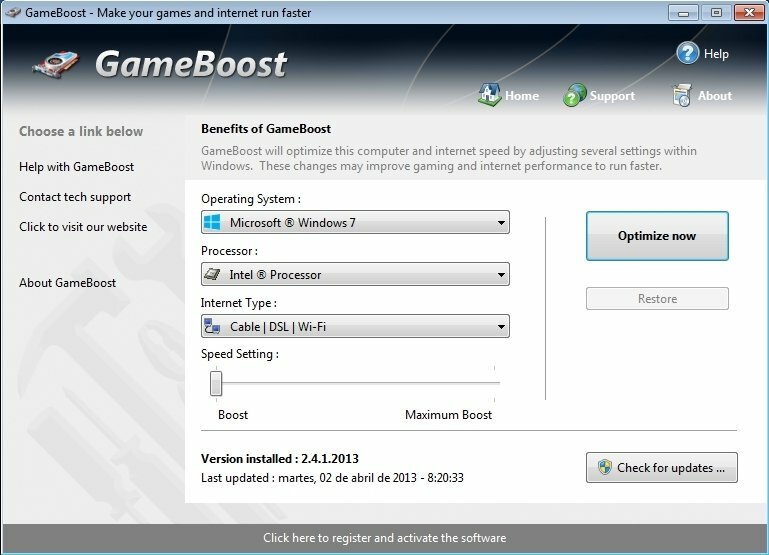 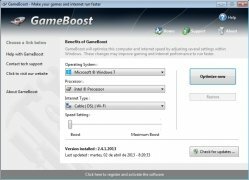 GameBoost is a tool that once installed, analyzes your computer's hardware and does its best to maximize its performance. 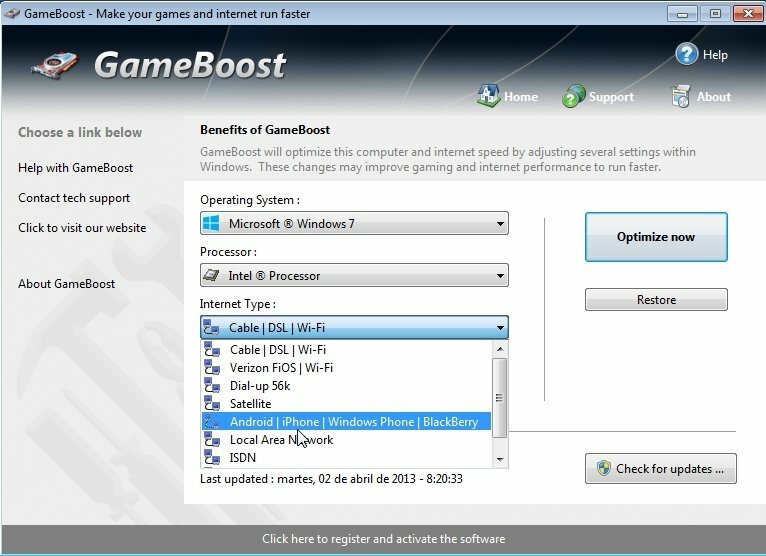 Even your Internet connection can improve thanks to GameBoost. 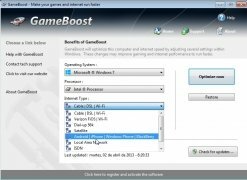 Regardless of the hundreds of optimization guides that we will find on the Internet, with GameBoost you can give both your computer and your Internet connection's performance a decent boost. 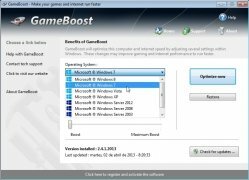 Its interface is very simple and easy to use, on it we'll be able to configure the performance that we want to obtain, being able to force our computer to manage more speed or just a slight performance improvement.